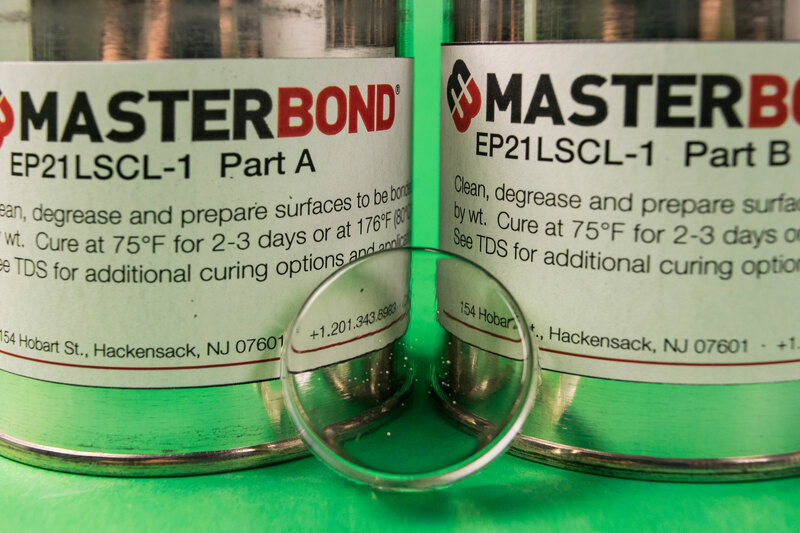 Master Bond EP21LSCL-1 is a two component, low viscosity epoxy resin system featuring superb optical clarity as well as outstanding non-yellowing properties. This system has a forgiving mix ratio of 100 to 60 by weight. It will cure readily at 75°F in 3-5 days or 3-4 hours at 150-200°F. The optimum cure is overnight at room temperature followed by 3 hours at 150°F. EP21LSCL-1 has very low viscosity. It is also low exotherm, meaning it has a long working life and fits nicely when used for larger potting and encapsulation applications. EP21LSCL-1 cures into a smooth and hard thermoset plastic. It bonds well to a wide variety of substrates including metals, glass, composites, ceramics as well as many rubber and plastic materials. It combines reliable electrical insulation values with very good physical strength properties. It is resistant to water, oils, fuels as well as a number of acids and bases. The service temperature range is from -60°F to +250°F. EP21LSCL-1 is a viable option in aerospace, optical, electro-optical and specialty OEM applications where its special product profile is desirable. EP21LSCL-1 is available is various sizes and units to accommodate customer's needs.